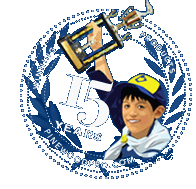 Joe Gargiulo is the owner of Pinewood Pro and the author of several books on pinewood derby racing, including Winning Pinewood Derby Secrets that is in its 15th year of printing. Joe is an engineer that holds over 10 patents, one of which earned him Inventor of the Year at Pitney Bowes. In his former life, he was a computer game designer at Evryware, a company he jointly owned. Joe enjoys using his engineering technical experience and business experience along with his creative game design experience to make technically precise and fun products. He invented many of the products featured on www.PinewoodPro.com. Joe and his son, Steven, were the team to beat throughout Steven's Cub Scout years, winning many pinewood derby Pack and District Championships. Joe is also the author of Pinewood Derby in Six Easy Steps, Winning Blastcar Secrets and he created over 25 pinewood derby car design plan booklets to help people make really cool and hot cars. Joe is a pinewood derby historian and is the proud sponsor of the Pinewood Derby Museum in Manhattan Beach, CA. He and his Eagle Scout son, Steven, are active members and volunteers for the Boy Scouts of America. 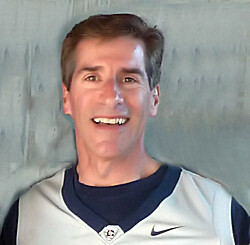 Joe lives in Trumbull, CT with his wife who is a source of fun and inspiration, and puts up with his creative messiness. He adores his two daughters and is very proud of his Eagle Scout son. All five family members were in either Girl Scouts or Boy Scouts as youngsters, spanning some 50 years.